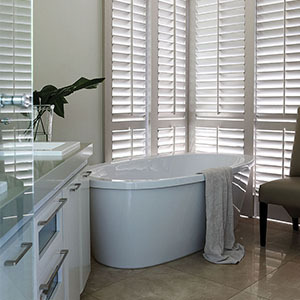 Let Plantation Shutters® delight you. 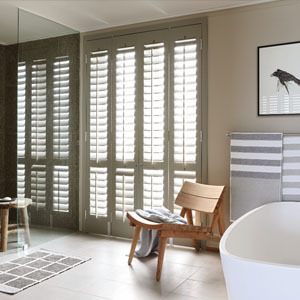 Since 2000, Plantation Shutters has been working alongside acclaimed architects, designers and homeowners to create stylish timber shutters and security shutters that add value to every home. We offer industry-leading custom-designed, adjustable louvre window and door shutters and dividers, using only the finest solid hardwood timbers and aluminium. Everything we do, goes towards making sure that you get the best quality, most elegant, fully customised and ultimately beautiful shutters available. Whether you are looking for internal shutters to control light or provide privacy or external security shutters - our fully customised design and manufacturing process will ensure that true value and beauty are added to your property. And, because building and decorating deadlines are tough to meet, our efficient 21 working day turn-around from order to installation, puts Plantation Shutters in a league of its own. 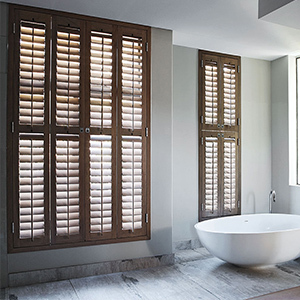 Our custom-designed adjustable louvre shutters are crafted locally, so count on personal service and a swift response. A 5 year guarantee on the timber shutters, and 12 years on the security shutters, will give you peace of mind with genuine after sales service.